Patrick’s commitment to his clients stems from a strong belief in the ability of a financial advisor to forge a long-term relationships that truly impacts others. As a former intern at Renaissance Financial, Patrick saw clearly that the collaborative culture of the firm was an ideal fit. Though he works with a wide range of clients, he especially enjoys helping young professionals, married couples and families on their financial journeys. 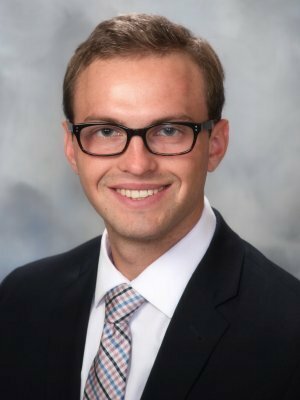 A 2017 graduate of Saint Louis University, Patrick studied business analytics and majored in finance. He holds his Life, Accident, and Health Agent license, as well as his FINRA Series 7 and Series 66 registrations. Though he now lives in St. Louis’ Central West End, Patrick was born in Omaha, Nebraska where he lived until attending college. He volunteers his time as a Big Brother with the Big Brothers Big Sisters organization. Patrick is an avid golfer and caddied for ten years at the Omaha Country Club, and more recently, at the Old Warson Country Club.